Four out of five gun-related deaths are suicides. WE lose two people between the ages of 14 and 24 to suicide in Washington state every week. That’s a tragedy, and every parent’s worst nightmare. Washington has a higher suicide rate than the national average, with more than 1,100 people taking their own lives in 2014. Children, young adults and those suffering from untreated mental illnesses are most at risk. Washington’s 600,000 brave men and women who served our country in the armed forces are also at a higher risk for suicide. Although improvements are in the works, our state ranks near the bottom for access to mental-health treatment. Despite the grim statistics, there’s a cause for hope. With early intervention and treatment, suicide is the most preventable form of death. As a citizen-lawmaker and a mental-health professional, I am aware of the limited training for professionals in the field. 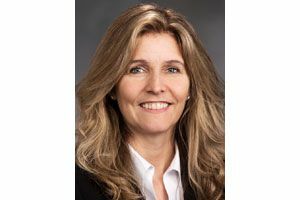 State Rep. Tina Orwall, D-Des Moines, represents the 33rd Legislative District, which includes Burien, Des Moines, Kent, Normandy Park and SeaTac. Orwall is the House Deputy Speaker Pro Tempore, vice chair of the Public Safety Committee and serves on the Education, Judiciary, and Rules committees. In 2011, I was approached by Sue Eastgard, a national expert on suicide prevention, and Jennifer Stuber, a professor at the University of Washington. In her darkest hour, after Stuber’s husband ended his life with a firearm, she wanted to discuss suicide-prevention training. Along with many stakeholders, we began working together on what would become a very collaborative and productive partnership to save lives. One year later, Washington became the first state in the nation to require ongoing suicide assessment and treatment training for mental-health providers and other front-line workers. Then in 2014, we passed a bill requiring doctors and nurses to receive one-time training, including specific strategies for working with veterans. We also worked on suicide prevention training for school staff, including counselors, psychologists, social workers and nurses. The Legislature created a comprehensive statewide plan on suicide prevention to guide our next steps. Our next priority was to address suicide awareness and reduce access to lethal means. Drug overdoses and poisonings are used in roughly 20 percent of all suicides in Washington. Firearms are used in about half of all suicides. Of the nearly 34,000 gun-related deaths in America, above 60 percent of those deaths are suicides. Let that sink in for a moment. Three out of five gun-related deaths are suicides. We knew this would be challenging terrain to navigate, so we sought out new partnerships. Last summer, in collaboration with the UW, we reached out to the National Rifle Association, the Second Amendment Foundation, the Alliance for Gun Responsibility, pharmaceutical organizations and survivors to work on suicide-prevention and awareness strategies and reducing access to lethal means. It was clear from our first meeting that nearly everyone had been touched by this issue. Stories of the loss of loved ones to suicide were shared. Tears were shed. And we took action. Our work resulted in legislation approved this year that continues our partnerships to develop suicide-prevention messages and training for gun dealers and shooting ranges, pharmacists and drugstores. Participation for gun stores and ranges will be voluntary and we will work on finding incentives to encourage the industry to participate. We created a Safer Homes Task Force, which will pick pilot programs in two counties — one rural, one urban — with the highest rates of suicide. We aim to quickly begin working with local gun stores and pharmacies to provide both suicide-prevention training and distribution of secure storage devices and medication-disposal kits. The bill also updates firearm-safety pamphlets used by hunters to incorporate suicide awareness and prevention information. Working with the NRA and the Second Amendment Foundation, as well as with state Sen. Joe Fain, R-Auburn, who sponsored the companion bill, was pivotal to ensure the bill had strong bipartisan support to send it to Gov. Jay Inslee’s desk. These efforts over the past five years and the partnerships we have made have been incredible learning experiences. By working together, we can begin to heal the issues that divide us and, more important, we can save precious lives. Information in this article, originally published March 29, 2016, was corrected March 30, 2016. A previous version of this story incorrectly stated that four out of five gun-related deaths are suicides.